Jesus said in Luke 10:2, “The harvest is plentiful but the workers are few.” While there are many great churches in the Phoenix metro area, there is not nearly enough to reach the 4.2 million people who live here! We desire for every person to come to know the love and hope of Jesus Christ! 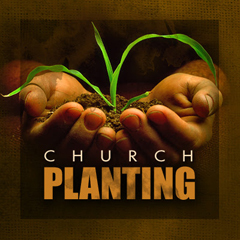 Church planting is not about buildings, but about starting new congregations that can reach new people for Jesus. While each church may look different, each church will be built upon fervent prayer and exist to reach people for Christ. As you read through the New Testament, you see the early church creating a pattern of church planting. The apostle Paul, his companions, and other early Christians, traveled throughout the known world preaching the love and hope of Christ. As people came to faith, churches or communities of believers were established. Just to keep up with the population growth, we should be planting hundreds of new churches each year!